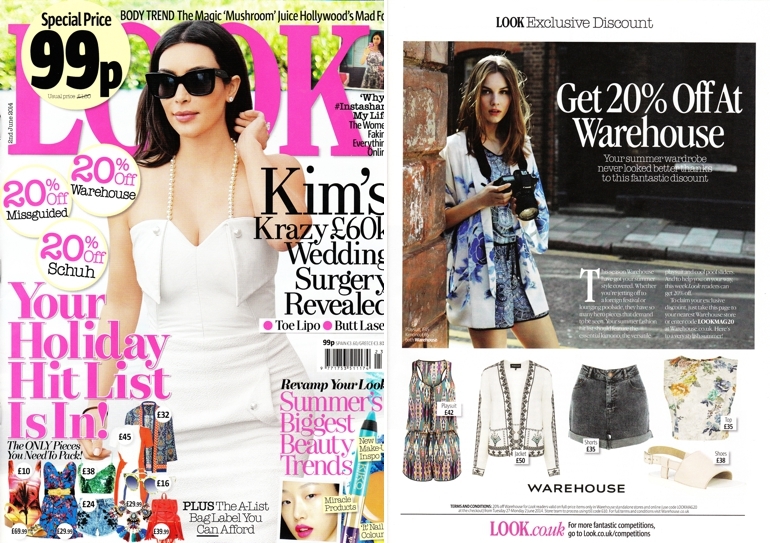 Today I am super excited to share with you an update since I posted about my experience of winning the Warehouse Fashion Shooters competition were I photographed the 13th image for their SS14 campaign and was mentored by Super Model turned photographer Helena Christensen. 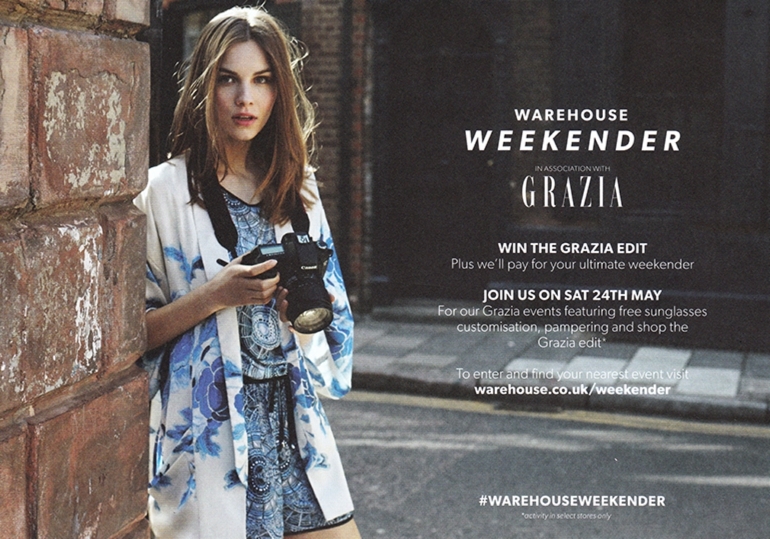 My winning image was chosen to advertise Warehouse’s Weekender event and not only was it used for the official flyer that has been seen in Warehouse stores, but it’s also been featured in Grazia and Look magazine! 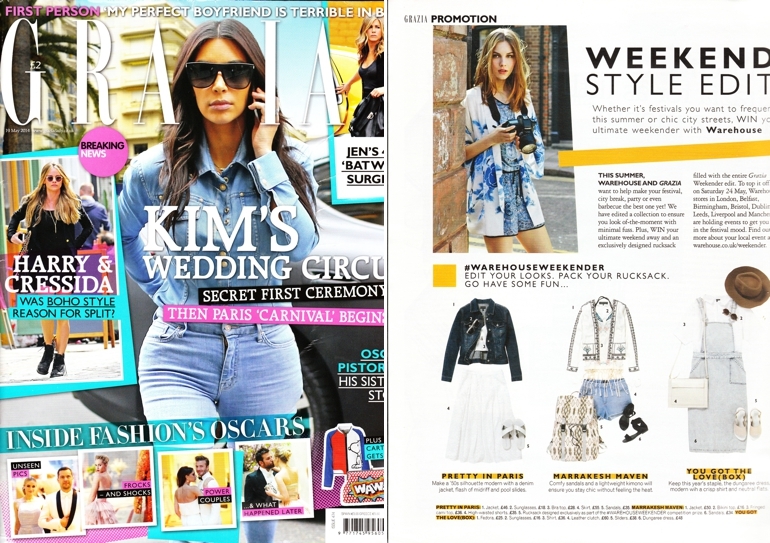 It was incredibly exciting seeing my image among the pages of Grazia, as it’s a magazine I have bought myself numerous times over the years and it was a great feeling to think so many people would see my work!